When your church and its function is referred to as "holy" hopefully it's not when discussing the condition of your roof. But when it is, you should be contacting South Bend Roof Repairs, the only roofing firm in the area that specializes in church roofing services. Besides the specific purposes of your church as opposed to other buildings, the structure that makes up a church is different than most. 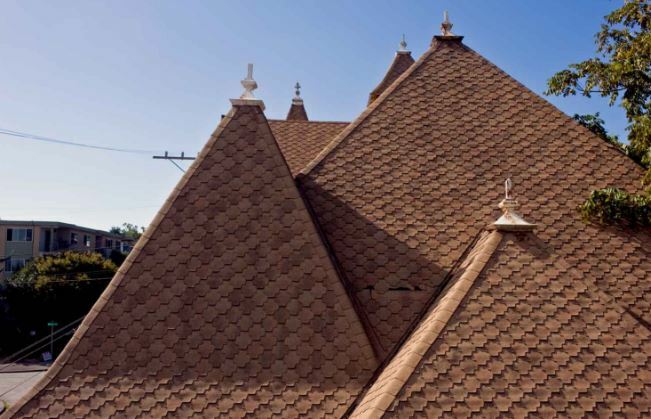 After all, how many homes and offices have as sharp an angle as church roof structures? Or have a steeple? And what about parapets and concealed gutters? We thought so. At South Bend Roof Repairs, we specialize in the repair and maintenance of church roofs in Mishawaka, Indiana. We have not only the specialized training but the experience and equipment to work on church roofs. In fact, we have the training and experience that nobody in the area has working on church buildings. But not only do we do church roof repairs, but we also handle church roof painting as a part of our complete list of services. We will also help churches who need assistance to get church roof repair grants so they aren't facing the prospect of facing making expensive repairs alone. There are many things to consider when you want to have a church roof repaired. After all, it's a sizeable investment for any church in Mishawaka, IN. Further, beyond the immediate costs of a church's roof, there are long-term costs as well. Many contractors will bargain with a church for a lower cost, only to regret their savings when it comes to having repeated maintenance in the future. Another factor that is important to consider when you work on a church structure is aesthetics. Making matters worse, churches are also often considered to be historical structures, which can't just use any old shingles and other materials. There are rigid guidelines that must be followed whenever a church roof repair is done. Of course, when all is said and done, the roof of a church is designed for one purpose, which is to keep the weather out. Just as is the case with any roof, the roof of a church is expected to do its job every day, all day long. This applies to rain, snow, wind, and anything else that the powers choose to throw at it. That's why we use a proprietary roofing service software which helps us to make sure every angle of your church's roofing needs are covered. Virtually nothing about your church's roof makes a difference unless the repairs that are done are done to the peak of perfection. it's only when you aim for this standard can you be assured that your church roof will last for the long run. It might not endure Armageddon, but that's between you and the Maker. Until then, you can deal with us. Call us today to see what we can do to get you to that point. We're South Bend Roof Repairs, and we perform our roof repairs to a higher standard.